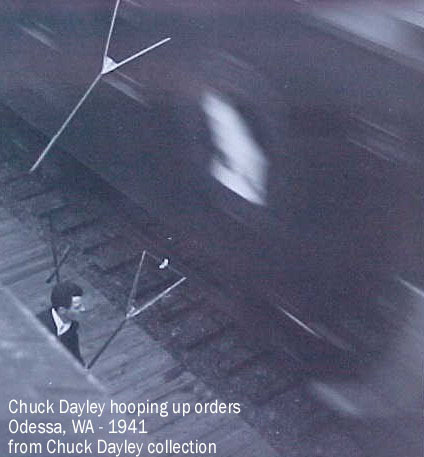 Chuck Dayley is an ex-GN telegrapher who retired to the Spokane, WA area. I gratefully acknowledge his contributions to this web page. 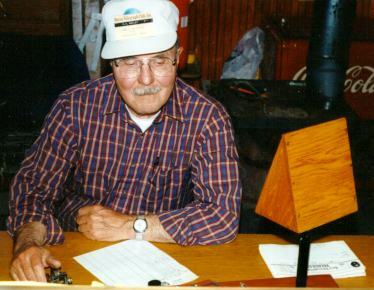 Chuck passed away December 30, 2002. 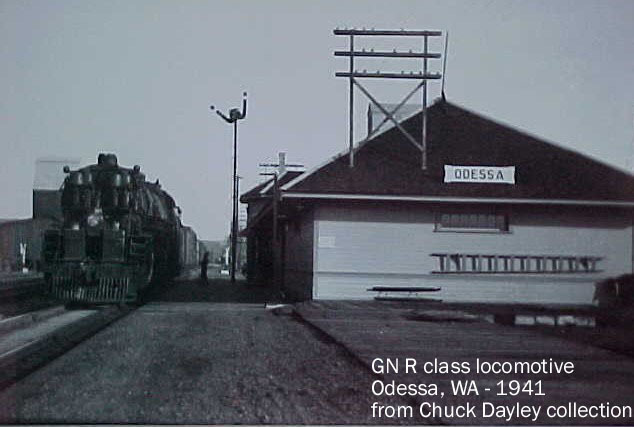 Here are two fine B&W photos of Chuck Dayley hooping up orders and an R class locomotive passing the Odessa, WA depot in 1941. You can read two additional stories by Chuck entitled The Final Run and Ft. Wright Tower.